If you want a fun experience and a view of Milan that takes your breath away (don’t worry you won’t have to walk all the way up there is an elevator) then you have to go up in the Torre Branca. Right next to the museum Triennale di Milano is the 108 m tall Torre Branca which was designed by architect Gio Ponti in 1933. From its top you have a 360° panorama over the whole city. If there are strong winds or the weather is bad they are closed. It costs € 5,00 per person. 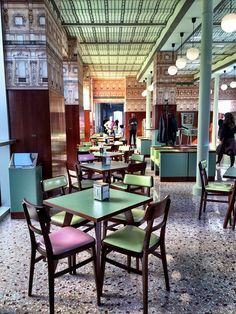 You could combine your vist with a visit to the Triennale museum and maybe even have lunch at the museum’s restaurant Terrazza Triennale. Or you could take a walk through the park and visit the Castello Sforzesco. Should it get too hot to wander the streets of Milan you can spend a day in of the city’s outdoor swimming pools. Know that enter the water if you’re wearing a swim cap (and obviously swim suit) but you can buy one for a relatively modest price at the entrance. If you haven’t brought a swim suit at e.g. Calzedonia,Yamamay, H&M which you can find everywhernin the city. Admissions fees are around €7-10. The outdoor swimming pools are open from the beginning of June till the end of August. Ferragosto is a very important holiday in Italy but shops are no longer required to close on this day though so most big stores in the center are open. 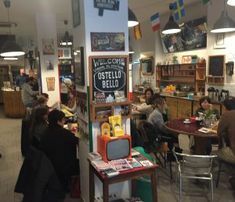 It can be difficult to find a table at a restaurant unless you book because, although it is true that most Italians tradtionally go away on vacation in August, more and more people choose other periods and today Milan is no longer completely empty. Ferragosto is a religious holiday celebrating the Assumption of Mary. 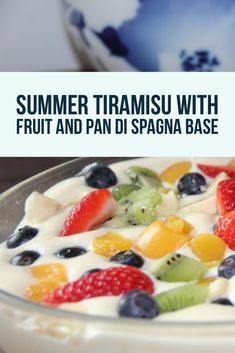 According to Italians it is also the hottest day of the year and is celebrated with lots of good food and wine. Below is a list of things taking place on and around August 15th. August 15th from 7 pm Circus Nuova Berberia Carloni and DJ set with disco music from the 70s and 80s at Castello Sforzesco (find on map). 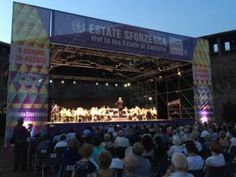 August 15th 3-11-30 pm DJ sets and live music by the Calypso orchestra on Piazza Cannone (find on map) behind the castle. August 15th from 9.30 pm there is a free Ferragosto Balkan Boogie Party at Carroponte (find on map). 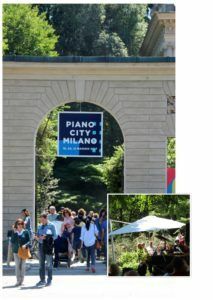 August 15th 10 am-11 pm Ferragosto at the Bagni Misteriosi (the outdoor swimmingpool in 18, Via Carlo Botta (find on map) with music at 6.30 pm by the percussionists Sambou Diawara and Ibrahim Bakayoko ( djembe) and a slice of watermelon for everybody. The price for the whole day is €18 and for only the afternoon/evening €12. All the city’s other outdoor swimming pools are open on August 15th, read more about them here. You can visit almost all museums and all the city’s civic museums free of charge on August 15th. Find out where they are here. 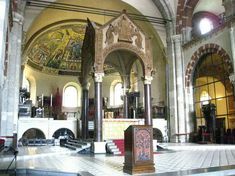 On August 13th, 14th and 15th in the Navigli area of Milan (find on map) you can go on the canal boat trips but you must book your seat by August 12th 5 p.m. (read more here). Book a table at Milan’s restaurants well in advance of August 15th because everybody wants to eat out on that day. Check out our recommendations here. Although all the festivities are oficially over several of the ice skating rinks in Milan remain open well into February, So if that’s your kind of thing here is the list. December 2nd-January 27th there will be a floating skating rink at the Swimming pool Bagni Misteriosi at 18, Via Carlo Botta (find on map).On week days it will be open 4.30-7.30 pm (closed on Tuesdays) and at weekends and on holidays 10.30 am-7.30 pm. Admission is €3.50 and you can rent both skates and helmets at €10 an hour. November 15th-February 20th Sunday-Friday 10 am-midnight Saturday 10 am-1 am Ice skating rink in Piazza Gae Aulenti (find on map). 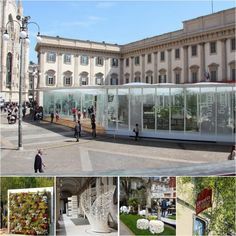 December 12th-February 3rd 10 am-midnight in Piazza XXV Aprile right by Eataly (find on map). December 8th-February 28th Mondays-Saturdays 4-8 pm Sundays 11 am-10 pm in the CityLife Shopping District in Piazza Tre Torri (find on map). December 2nd-January 21st 10 am-midnight (open until 2 am at weekends) there is an ice skating rink and merry-go-round in Piazza Beccaria (find on map). December 1st-January 20th 4-9.30 pm on weekdays and 11 am-9.30 pm at weekends ice skating rink in Piazza Città di Lombardia (find on map). Christmas is over, we will begin to update this post around November 1st . 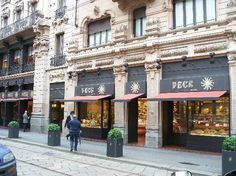 In December Milan is rich on Christmas markets and the grand Artisan Fair and if you want to get some different Christmas presents you should definitely visit them. 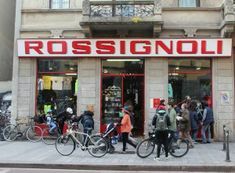 December 7th and 8th are religious holidays in Milan but all shops are open. December 1st-9th from 10 am-10 pm we have the huge Fair for artisans from all over Italy and the world, it is held at the Fair in Rho (find on map) and takes place from. Here you can buy beautiful handmade Christmas gifts and taste culinary specialties from Italy and the rest of the world. Be prepared for crowds and if you possibly can go during the week not at weekends. You are going to need more than one trip if you want to see everything. December 6th-9th 10 am.-8 pm in Piazza Castello (find on map) there is the traditional market Fiera degli Obej Obej which dates all he way back to 1288 and is always held on the days around December 7th where the Milanese celebrate their patron saint Sant’Ambrogio – the day before the national holiday for the Immaculate Conception. The atmosphere is wonderful and there are lots of local specialties to taste like vin brulè (mulled wine) and chestnuts.The name Obej Obej originates according to tradition from the exclamations of the Milanese children “Obej, Obej” (dialect for oh belli,oh belli which means “How pretty!”) when they saw the gifts Pope Pio IV’s emissary brought to the city of Milan in 1510. December 1st-January 6th “Il villaggio delle meraviglie” in the Giardini Pubblici Indro Montanelli (find on map) for the youngest, there are rides, meetings with Santa (starting December 6th) and an Ice skating rink, where you can rent skates. Open every day from 10 am-8 pm. December 6th-January 6th the traditional Milanese Christmas tree can be admired in Piazza Duomo (find on map) this year. The tree will be lit on December 5th 6-9pm. December 1st-24th the story of a reindeer walking through Milan will be told on a maxi screeen on the Palazzo dei Portici Meridionali (situated on your right when you face the cathedral) on Piazza Duomo (find on map) every night there will be three performances with the first one at 6.30 pm. Each episode lasts 6 minutes. 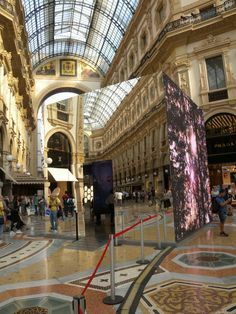 December 1st-January 13th 9.30 am-8 pm (last admission is at 7.30 pm) there is a free exhibit of Pietro Perugino’s painting L’adorazione dei Magi from 1472 at Palazzo Marino on Piazza Scala (find on map) as Milan municipality’s gift to all the city’s resodents and guests. November 25th–January 10th Christmas market on Piazza Duomo (find on map) with crafts and gastronomic specialties from all over Italy. 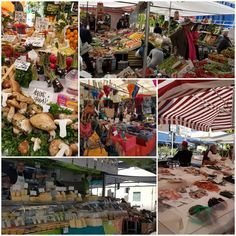 The market is open every day from 9 a.m.-9 p.m..
December 1st-January 6th 10 am-10 pm Gae Aulenti Xmas Village with, among other things, food, stalls with handmade Christmas gifts and a skating rink in Piazza Gae Aulenti (find on map). December 8th-9th 11 am-9 pm Wunder MRKT Christmas edition at Fabbrica Orobia 15, 15, Via Orobia (find on map) a Christmas market in the name of eccentricity, the perfect place for those who are looking for beautiful and original gifts. December 15th-16th (10 am-7 pm) Green Christmas eco Christmas market with jewellery,clothes amd things for your home at Fonderia Napoleonica di Milano at 21, Via Thaon de Revl (find on map). December 15th 2 pm-9 pm Rainbow Christmas Market in Largo Fra’ Paolo Bellintani (find on map). December 1st-2nd 10 am-8 pm at Torneria Tortona at 32, Via Tortona (find on map) – 2 days of handcrafted clothes, jewellery, home decor and much more, just the place to find Christmas gifts for friends and family. December 22nd-23rd 10.30 am-8.30 pm Flug Market at Bagni Misteriosi (find on map) – you can still get that one present you haven’t found yet at this last minute market. December 8th-9th 10.30 am-9 pm Flug market at BASE Milano at 34, Via Bergogne (find on map). December 16th 10 am-7 pm Le Pulci Pettinate Christmas Edition (the combed fleas) at Salumeria del Design in Via Stazio (find on map). December 2nd 10 a.m.9 p.m. East Market in 84, Via Mecenate (find on map). 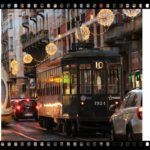 Milan’s best flea market..
December 16th 10 a.m.-9 p.m. East Market in 84, Via Mecenate (find on map). Lots of bargain with the motto Buy, Sell, Swap. December 6h-January 6th Monday-Friday 3-10 p.m. Saturday-Sunday 11 a.m.-11 p.m. Darsena Christmas Village (find on map) this is not a market but a big Theme Park with a Christmas tree on the water and an ice skating rink. Throughout the period there will be markets, cultural events, fireworks, light shows and many other events. December 22nd 8 pm and 23rd 3 pm there is Christmas Concert at Teatro alla Scala program and tickets here. December 20th 7.30 p.m. free Christmas concert in Milan’s cathedral Duomo di Milano (find on map) with music by Bettarini, Cherubini and Schubert amongst others. The doors open at 7 and we advise you to come well ahead of that time as the church is going to fill up quickly.